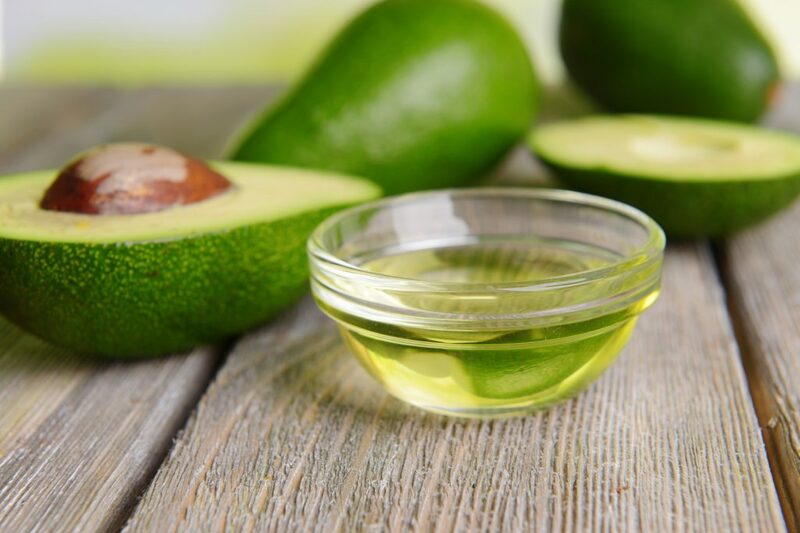 Avocado oil is one of the most popular oils for hair and scalp care. It’s thick, efficient and rich in nourishing ingredients oil gifted by the trust of many women. It is perfect for both hair oil treatment and as a thick serum for strengthening of hair ends. It is worth to know why avocado oil is such a unique cosmetic. What ingredients are contained in avocado oil that make it so great for regenerative hair treatment? Avocado oil consists of number of vitamins. There are seven of them and each with direct impact on health of hair and scalp. Vitamins B, H, K, D, PP, E and A prevent hair loss, strengthen hair bulbs, regulate work of sebaceous glands on the surface of skin, support hair growth and prevent bacteria proliferation. 2. Essential fatty acids – best of the best. Composition of avocado oil is dominated by oleic acid from group of omega-9 acids. This fatty acid contains particles which perfectly match hight porosity hair. Large particles easily penetrate raised hair cuticles of high porosity hair. It not only nourishes hair on the inside, but also creates protective layer on the surface to protect an entire hair shaft. Thanks to it hair gain additional resilience and are protected against unfavourable impact of atmospheric factors. Particles of avocado oil cover hair with thin, lipid barrier that protects them against hot air made by equipment dedicated for stylisation. 3. Minerals of highest quality. Avocado oil is rich in valuable mineral ingredients. Magnesium – remarkable in hair care. Thanks to it, process of keratin creation – hair lumber – proceeds expediently and with no set backs. It also prevents hair loss, split ends and general hair brittleness. Potassium – regulates water economy in organism, is great in a protein synthesis (including keratin). Prevents hair and scalp dryness. Phosphorus – regulates absorption of magnesium by the cells. Makes hair gain gloss, vitality and elasticity. Helps deal with dandruff and sebum secretion on scalp. 4. A mysterious, scary sounding squalene. It is an oily active substance, which is natural sebum ingredient produced on the surface of the skin (including scalp). Presence of squalene regulates the sebum. It strengthens lipid barrier of skin, restores deficits of binder between the cells of the epidermis. Thanks to it, oil provides skin and hair with elasticity. Properties of all the aforementioned ingredients have direct impact on hair and scalp condition. Therefore, regular use of avocado oil ensures hair with healthy and multidimensional regeneration, which happens in all hair parts.